Waterway designer Lance Clinton is a lifelong knife enthusiast and professional kayak fisherman who has spent literally thousands of hours on the water, making his knowledge of hard-use marine knives unparalleled. Clinton’s vision for the Waterway was to create an ultra-corrosion-resistant knife that would excel at fishing tasks while remaining well suited to general utility and outdoor use. The Waterway’s blade is crafted from LC200N—a state-of-the-art high-nitrogen alloyed tool steel specifically formulated to offer superior corrosion resistance and extreme toughness, even at high levels of hardness. 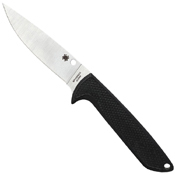 To maximize its strength and balance, the Waterway’s Plain Edge blade features a full tang. It is flanked on both sides by solid G-10 scales that are meticulously 3-D machined to create a non-slip diamond pattern. The scales are attached by a specialized process involving blind pins and a high-strength industrial adhesive, ensuring a permanent, water-tight bond. To allow convenient carry and keep the Waterway instantly accessible, it comes complete with a custom-molded Boltaron sheath with a versatile G-Clip attachment. 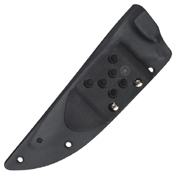 The snap-fit sheath retains the knife securely, while allowing a smooth, easy draw, and the G-Clip can be configured to provide a full range of carry positions.